Heroes, Heroines, and History: Origins of the Amish in America and Giveaway! Origins of the Amish in America and Giveaway! I’m delighted to join the Heroes, Heroines, and History Blog this month, and I hope to contribute some interesting posts. My main project for the past several years has been a sprawling historical fiction series on the American Revolution, The American Patriot Series. 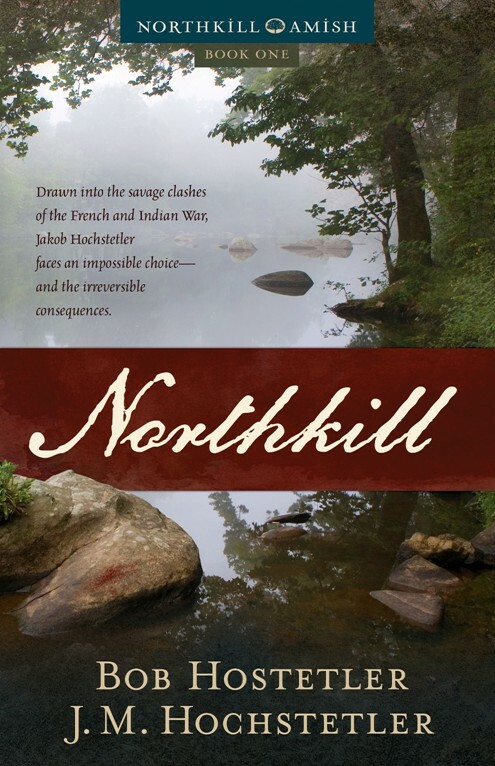 In 2014, however, a distant cousin, multi-published author Bob Hostetler, and I released Northkill, Book 1 of our Northkill Amish Series, closely based on the inspiring true story of our Hochstetler ancestors. 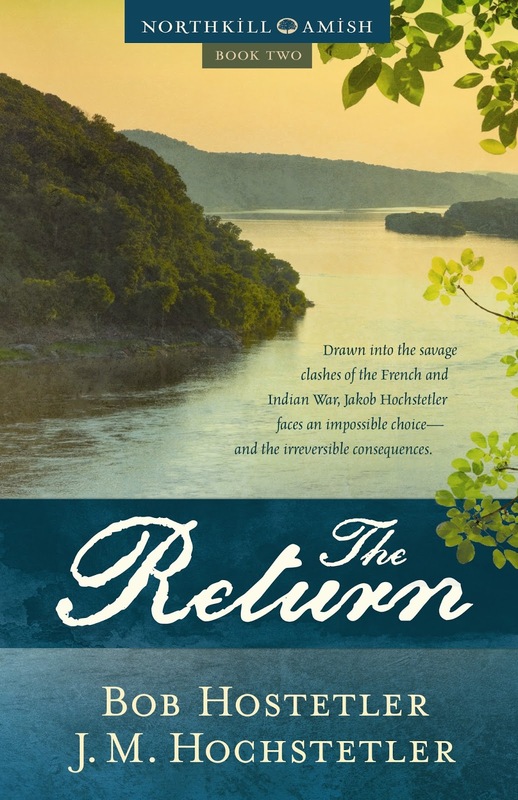 Book 2, The Return, which releases in November 2016, completes their story. Amish romances have been popular for years, but Northkill recounts a different kind of Amish story, one very well known among the Amish and Mennonites. Jacob Hochstetler and his family arrived in Philadelphia on November 9, 1738, aboard the ship Charming Nancy at the beginning of a tidal wave of German immigration that stretched over the following century. With other members of their church, they sought sanctuary from religious persecution in Europe and the freedom to live and worship according to their Anabaptist beliefs, including the doctrine of nonresistance. They settled on the Pennsylvania frontier between the white settlements and Indian country and built a home along the Northkill Creek, for which their community was named. Our story begins in 1752, when rumors of the building conflict between the French and the British over control of the continent reach the Northkill community. Over the next few years, this conflict boils over into war. Then early on the morning of September 20, 1757, the Hochstetlers’ peaceful way of life is brutally shattered when their farm is attacked by a party of Delaware and Shawnee warriors allied with the French. Their home is set ablaze, and when they fight their way out of the cellar where they took shelter, the Indians kill the mother and two children and carry Jacob and two sons away into captivity. After several months Jacob makes a harrowing escape, but it will be years later, after the war’s end, before he finally succeeds in bringing his boys home. Many shorter works along and another fictional series have been based on this story over the years. Bob and I wanted to write an in-depth, detailed depiction of our ancestors’ lives on the Pennsylvania frontier, centered on the deeply rooted faith of the Northkill Amish community, which is generally thought to be the first Amish church established in America. Amazingly a great many facts about this attack are documented in contemporary publications and records preserved in the Pennsylvania State Archives and in private collections. And in the late 1800s family researchers began to collect oral accounts passed down through the family. More recently, members of the Jacob Hochstetler Family Association uncovered additional facts that were invaluable in writing our fictional portrayal. My posts over the next few months will focus on the world of the Northkill Amish, the French and Indian War, and the Native American tribes that held three of my ancestors captive. Theirs is a deeply inspiring story of steadfast faith, courage in the midst of tragedy, and God’s unfailing love. I hope it will bless you as much as it has Bob and me. Today I’m giving away a copy of Northkill to one lucky reader, either print or ebook edition. To be entered in the drawing, please leave a comment on this post and include your email addy and which edition you’d like to receive. J. M. Hochstetler is a descendant of Jacob Hochstetler’s oldest son, John. An author, editor, and publisher, she is the daughter of Mennonite farmers and a lifelong student of history. Northkill, Book 1 of the Northkill Amish Series, won ForeWord Magazine’s 2014 INDYFAB Book of the Year Bronze Award for historical fiction. Her American Patriot Series is the only comprehensive historical fiction series on the American Revolution. One Holy Night, a contemporary retelling of the Christmas story, was the Christian Small Publishers 2009 Book of the Year. You will find her at http://www.jmhochstetler.com/. Sounds like a great read ! Would love to win a copy ! Thanks for stopping by, Linda! Good luck in the drawing! I already have ebook; however I would really like a paperback copy, too. It will be shared! Looking forward to next book, too. I love it when my books get shared, Phyllis! I've got you on the list. Good luck in the drawing! What a great interview, Joan! Thank you, Bev! Glad you dropped by! Hope your having a good day. I would love to have a copy of the book. I have the Hochstetler ancestry book that tells a little about the family and what happened that awful night. 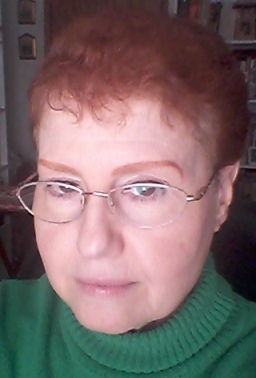 My name is Ara Ranae Eads.... My mother is a Hochstetler. She is 9th generation and I'm a 10th generation to Jacob Hochstetler. We now spell it Hostetler. My grandfather went to work for Rogers quarry's at the crusher and they omitted the C and my grandfather never said anything, so as the years have went on the spelling never changed back... So now we spell it Hostetler! Good to meet you, Ara! Thanks for stopping by. You're not the only relative who's family changed the spelling--so did Bob's. I have you listed in the drawing. Good luck! This sounds like a very interesting read. I would be thrilled to win a paper copy is this book. Thank you. Thanks for entering, Mary Ellen, and good luck in the drawing! Mary Ellen, you're the winner! Please contact me at jmhochstetler@msn.com and let me know what your mailing address is. Just stopping in to read this great interview. I have the book, so am not entering the contest. For those who have not read it, Northkill is a captivating, gripping story full of heart-pounding suspense and drama....a fantastic story! I impatiently await the second book. Love our family history. It's always been interesting. I would love to win the book. David Hostetler was my grandfather. He always had some good stories. It's always great to see other stories. Angela, I'm so glad you stopped by! It's always a lot of fun to meet relatives online. You're entered in the drawing, and good luck! A detailed depiction of your ancestors’ lives on the Pennsylvania frontier sounds like a wonderful story.. I love to read your story! Paper back would be great! Thanks for entering, Deanna, and good luck in the drawing! I enjoyed your post and would love to have a paperback copy of "Northkill", I love fiction books based on fact. My family has a fascinating background also - I, too, have an ancestor who was captured by the Shawnee. One of my ancestors helped form the historic St. Mary's city in Maryland. Wow, sounds like you have some great material to write your own story! I just love hearing about other's ancestors' experiences. Good luck in the drawing! Thanks, Melanie! Good luck in the drawing! This sounds like a great book and I would love to read it! Great post too! :) Thanks for the giveaway. Thanks for stopping by, Sydney, and good luck in the drawing! I have never heard this story before and I would enjoy reading more. Thanks for sharing and I prefer a print copy, if I am lucky enough to win. Connie, I'm so glad you stopped by. Good luck in the drawing! Sometimes Blogger has issues, Sharon, and I'm guessing that's what happened in this case. lol! Thank you for stopping by, and good luck in the drawing! Have heard Northkill highly recommended so it's been on my want-to-read list for quite some time now. Would love to win it. Thanks for the giveaway! Hi, Cheryl! I'm glad you stopped by. Good luck in the drawing!